The majority of Nile cruise ships are of a very high standard. However, there a number of exceptional "Luxury" cruise ships which offer the holidaymaker a high level of comfort and service. 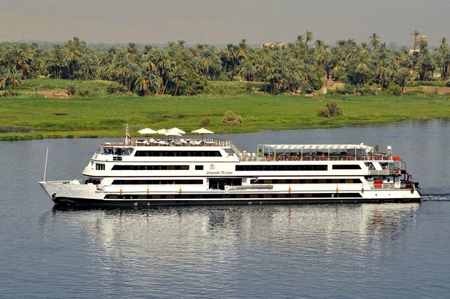 Please view our selection of luxury Nile cruises below. In the style of a traditional dahabeya, a small sailing vessel used by aristocrats and royals.